Christmas is almost upon us and we have fabulous packaged bulbs that make wonderful festive gifts or for any other occasion and we supply bulb gift boxes filled with bulbs of your choice or we will make up a suitable selection for you. Our nursery is full of incredible bulbs including a super range of 3 select Dieramas, 2 Eucomis hybrids including the giant Masaai Lady which has been unavailable for a number of years, all the Southern African Scadoxus species and sub-species, more than 15 species of Ledebourias and Drimiopsis with their beautiful leaves, lots of Haemanthus, Nerines, Crinums, Agapanthus, Daylilies & Irises. The SA Bulb Company simply has no equal in South Africa. We are the only retail outlet where the public can buy ‘off the shelf’ as the saying goes, a superb collection of some of South Africa’s finest indigenous bulb species. 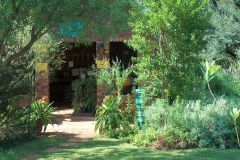 Even though our focus is predominantly on export and mail order now, if you prefer to buy planted or potted up bulbs, daylilies and irises, you can visit our retail outlet on the farm here at Hartbeespoortdam. There are plenty of daylilies, irises, some exotic bulbs, lots of wonderful indigenous bulbs particularly summer rainfall and evergreen bulbs and a good variety of winter bulbs including rare species for the collector at any given time. We also have some other interesting plants for sale in our retail nursery including rare Strelitzias, Monsonia spinosum & vanderietiae, Petopentia natalensis, some Haworthias & Gasterias, Kniphofias, Aloe variegata, Aloe ecklonis, Aloe vera, Cyphostemma, Talinum, and other select waterwise indigenous plants and the following Pelargoniums : tetragonum, grossularoides, mutans, reniforme, sidoides, gibbosum, ionidiflorum, alchemelloides, salmoneum, xerophyton and the rare Pelargonium tongaense red and pink! Saturdays are best as we are closed on Sundays and weekday visits require you notifying us in advance. When you get to the farm gate, please call us. Our greenhouses and propagation areas are not open to any visitors whatsoever! We are on the south west corner of the Hartbeespoortdam ie not the Pretoria side but the Magalies side just 7km past the entrance to Pecanwood and diagonally opposite The Coves Estate. we accept master & visa credit cards & debit cards if you are coming to the nursery and paying in person (unfortunately as of the end of April 2017 we can no longer accept any cc payments if the cardholder is not present). We also accept cash and you can pay by telephone banking. We do not accept cheques. Many of the species we grow are not readily available and are thus not cheap even though we usually have some really good specials on throughout the year. We price our plants according to the ease or difficulty in growing them, how long it takes to get them to mature flowering size and of course rarity. Some species are offered as young/small bulbs as well as flowering size. We are also offering pots full of bulbs (where we have enough stock) as well as single bulbs to suit all budgets. PLEASE NOTE THAT bulbs sold via mail order are single bulbs and are priced accordingly compared to potted up bulbs which cost a bit more because they are potted up ie the pot and the special soil/sand mix that is required for many of these rare plants. We are now very much a specialist nursery, so don’t expect to find a nursery full of general plants and that includes trees, groundcovers, succulents, aloes and shrubs. We also don’t sell any other garden products such as compost, potting soil, fertilisers etc and no we don’t have a tea garden (there are many eateries in the area). Please do not phone or email us requesting quotes and advice on trees, thorny hedges or general landscaping and plant advice other than that which we now specialise in. 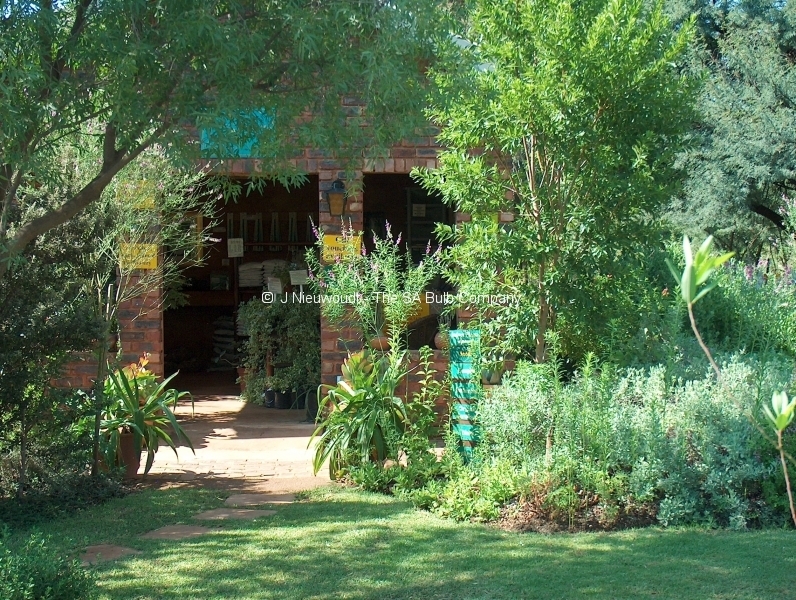 You are welcome to visit our retail nursery during the specified times. If you intend purchasing plants and taking them back with you, you will need to organise your own phytosanitary certificate unless you are not leaving the country immediately and we have enough time to get a phytosanitary certificate for you. Please do not bring your dogs with you when you visit our nursery. Our pets do not take kindly to intruders on their turf.